Instagram just released their new IGTV – a way to broadcast and playback high-quality, vertical videos that are longer than 60 seconds. 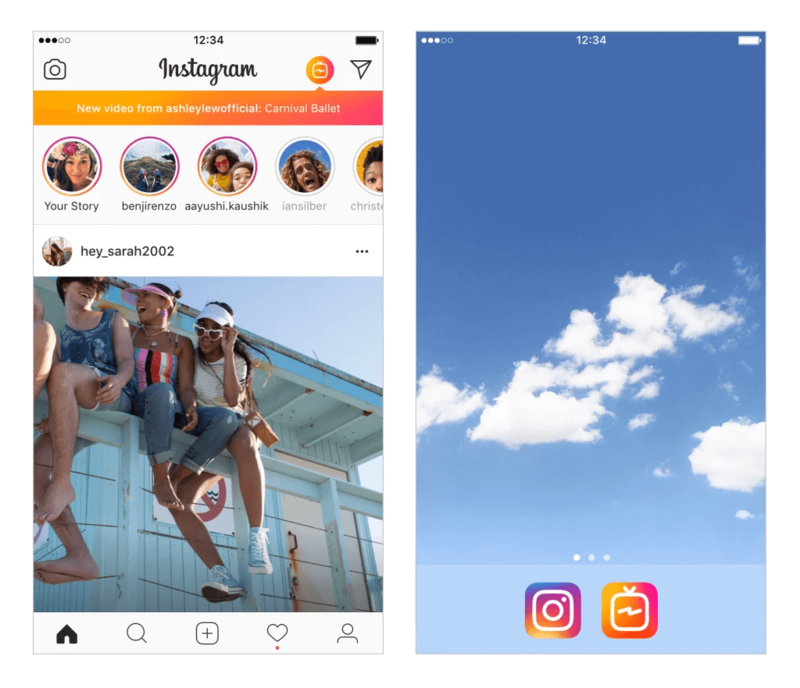 IGTV is an integrated feature on the Instagram app if you’ve updated the app since June 20th; however, IGTV can also be downloaded as a standalone iOS or android app. Regardless of how you access IGTV, your login is connected to your Instagram account and will remain the same. Currently, all users are able to upload videos up to 10 minutes long, while large accounts and influencers can broadcast up to 1 hour of footage. Eventually, Instagram intends to allow all users to broadcast for up to an hour, or maybe more. IGTV is designed specifically for vertical videos and is made to be watched on mobile. This is what truly sets IGTV apart from Youtube, the current biggest video sharing platform. Also unlike Youtube, IGTV currently does not have any ads. There is a lot of potential for Instagram to make revenue with ads on IGTV though, and they are expected to launch ads in later updates. To access IGTV through the Instagram app, select the IGTV button on the top right next to the direct messages icon. This IGTV icon will also notify you of new content for you to watch on IGTV. When you open IGTV, recommended content for you will begin autoplaying with the sound muted. From here, you can use the search function to find specific content or watch videos under the different tabs. Search – Currently, the IGTV search function can search for videos based on the name of the creator or the channel. At this time, there is no option to search for videos based on hashtags or keywords. Following – Plays videos uploaded by accounts you currently follow. Popular – Trending and viral videos that are popular across Instagram. Continue Watching – This tab allows you to continue watching videos that you have paused partway through. To start your channel, click on the + icon from your home screen – Here you can upload a video with a title and a description. You can also included links with these videos, which can be viewed by clicking on the video’s title. Much like with Instagram stories, you can also personalize videos you’ve uploaded by overlaying text or images. At this time, videos cannot be filmed within the app and there is no ‘live’ mode. However, it is anticipated that in later updates, filming within the app will be possible.